Charles Kenneth Waterbury, age 84 of Clarkson passed away on Tuesday, August 7, 2018 at Norton's Hospital in Louisville, KY. He was born in Louisville, KY. He was married to Shirley Lajaun Mollyhorn Waterbury. Charlie was a retired laborer for Jaggers Equipment Company; a member of Clarkson Baptist Church, member of Antique Automobile Club, Model "A" Club, a Shriner and enjoyed singing with the "Silver Slippers". 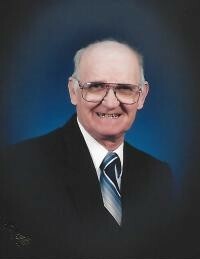 He is survived by six sons: Kenneth Charles Waterbury, Johnny Edward Waterbury, Eugene Helton, Shawn Helton, Ronald Dale Waterbury, and Perry Geary; three daughters: Sharon Ann Collins, Wynee Helton, and Michelle Geary; nine Grandchildren; two Great-grandchildren and one sister, Elizabeth Sidebottom. He was preceded in death by his Wife, Parents, five Brothers and one Sister.